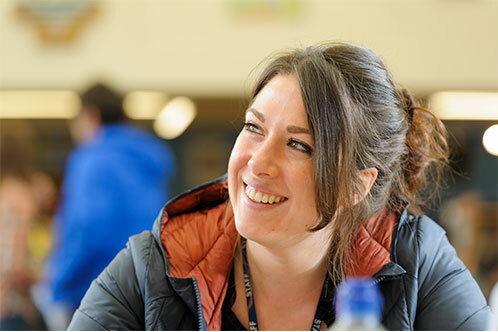 Oxfordshire Teacher Training operates three training ‘Hubs’, this is a new and exciting development for 2019 and candidates are able to apply to train in these Hubs for programmes starting in 2019 by selecting the appropriate Hub (or location) as a part of your UCAS Teacher Training application; you can choose which Hub would be most convenient for you. Applying to a Hub means that the majority of your programme training sessions will be based in your chosen Hub, and your placement schools will be from that part of Oxfordshire too. There will be a few sessions throughout the year which will require slightly further travel into central Oxford, but by operating the training sessions in the three Hubs we hope that more applicants will be able to train in their local area! Regardless of which hub you choose, you will receive the same training sessions from expert teachers and practitioners, you will also have the same access to our wellbeing and coaching support, as well as support and guidance throughout from our central team. Please see the map below for a guide of the areas our Hubs operate in, there may be some crossover in parts of the county and there also may be some schools on the fringes of these areas but it should give you an idea of where we based. For all of our ITT programmes you will benefit from two exciting and contrasting school placements, with additional training sessions, visits and experiences in other schools, phases and settings. Our partnership of schools is constantly growing and expanding, we are proud to work with a number of schools in Oxfordshire and the surrounding areas and look forward to more schools joining our alliance in the future. Some of our applicants are already working or volunteering in a schools and in many cases it can be possible to arrange one of your placements to be in this school, whether we have worked with them before or not. But don’t worry if you are not already in a school, we have lots of schools who are really keen to work with us and take an Associate Teacher on a placement; we will arrange all of this for you. If you would like to see which schools we have worked with in recent years please see the map below. ‘Trainees benefit hugely from the range of schools in the partnership and the contrasting placements they have. The relationship between the SCITT and its partnership schools is excellent. For this partnership, meeting recruitment needs is not just about filling vacancies, but about ensuring that pupils benefit and make progress.’ Ofsted Inspection report 2017. If you are Headteacher of a school and are not currently involved in our Initial Teacher Training programmes but would like more information about being involved then please get in touch. We also advise that you have a look at the Oxfordshire Teaching Schools Alliance (OTSA) website for more information regarding the background and context of OTSA, the specialist development strands across Oxfordshire and the benefits of joining the alliance. The Oxfordshire SCITT is an example of a partnership working really well together. The highly trained mentors and subject specialists strive to fully support the trainees enabling them to achieve outstanding results. As Director of the Oxfordshire Teaching Schools Alliance I know how keen Oxfordshire schools are to recruit teachers who have trained with the SCITT because the quality of training and support is so strong. Training in this partnership will give you a significant advantage when it comes to applying for jobs, and once you’re in an OTSA school the ongoing career support and training will be exceptional, from induction as a Newly Qualified Teacher all the way through to becoming a Headteacher. It's great to know that you are training a teacher to succeed in your school, everyone gains from the investment. The process is tough and our trainee teachers are exceptional. It is wonderful to be able to reward their hard work and dedication with permanent positions within OTSA schools.